This erect herb has alternate 2-ranked or distichous leaves, grows from an underground rhizome. 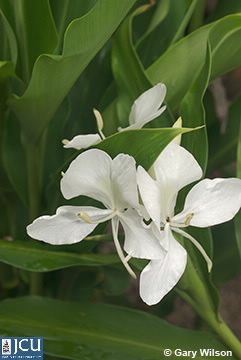 Flowers are in terminal clusters, white and tend to droop. Fruit a capsule. There are some specimens growing near E2.